On Monday Apple announced its new additional software to iOS to match iOS users with their expensive car. Apple announced CarPlay. 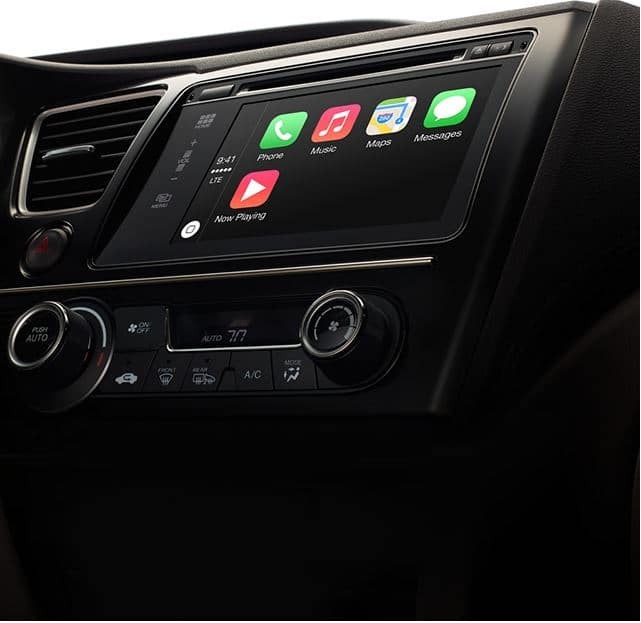 CarPlay will allow you to mirror your iPhone to your car’s built-in display while driving, allowing you to use Maps, make calls, send and receive text messages through voice commands, and manage your music. CarPlay not only uses iOS built-in apps, but it will also lets you use third-party apps like Podcasts, iHeartRadio, Spotify, and Sticher. Apple will first roll out CarPlay on Ferrari, Honda, Hyundai, Jaguar, Mercedes-Benz, and Volvo cars. It will then support low budget vehicles like Ford, Toyota, Kia, Suzuki, Nissan, Subaru, BMW, and Chevrolet. The app will not work on iPhone 4S or older iPhone, it will be aviable for iPhone 5, 5c, and 5s in 2014.